Everyone with spring allergies knows there are two types of greenery: the first few blooms of nature’s most beautiful season…and the blanket of pollen that shortly follows. For allergy and asthma suffers, that omnipresent covering of pollen is tough to avoid, even if you don’t venture outdoors. Somehow, it manages to work its way into your home, car, and workplace, creating havoc that results in a mountain of crumpled tissues and eyes that water for days. 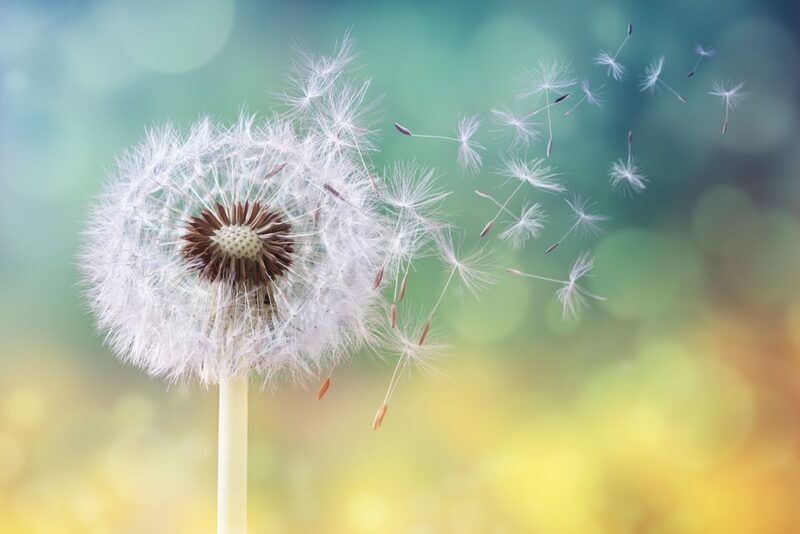 Short of cocooning yourself in a plastic bubble (and probably not even then), there hasn’t seemed to be a way to avoid the inevitable pitfalls of spring allergy season. Even worse? Spring seems to have sprung earlier than usual around most parts of North America due to a relatively mild winter. For many in the US, spring allergies can begin as early as February and last until summertime. WebMd reports that tree pollen is a major allergen for millions of people, and while there are few trees that actually produce allergenic pollen, the pollen they do produce is lightweight — meaning it can travel for many miles, especially if weather conditions remain dry and windy. But here’s the good news: as advancements in technology and medicine evolve, it’s getting increasingly easier to find workable solutions to the allergy troubles that plague you and your family. While there’s not a single answer to staying allergy-free, you can combine these proven methods and experience a noticeable difference in your indoor environments. We’ve assembled some great tips that can give you a great chance of minimizing the effects of spring allergy season! This may seem like a no-brainer, but this tip can be harder to stick to the prettier the weather becomes. But for people with severe allergies and asthma, staying indoors can make a big difference in your immediate health and wellness. Mowing the lawn, gardening, attending baseball games and walking the dog down the park all put you right in the path of being slammed with every allergen floating around outside. For those with severe allergies, it’s best to just stay inside. 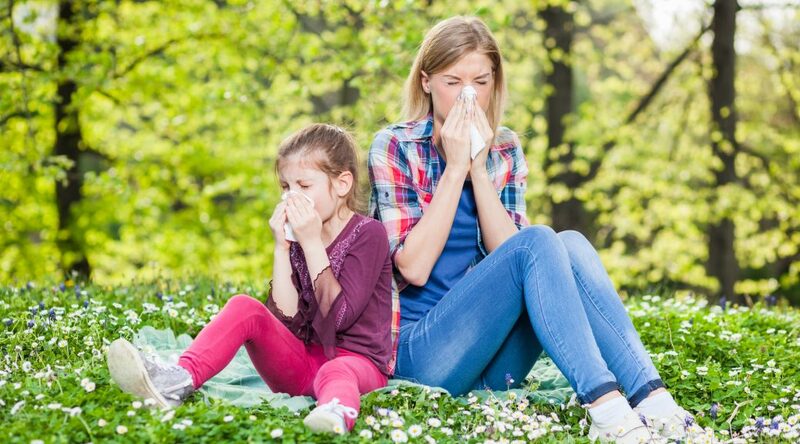 Visit with your primary care physician or allergist to determine their best recommendations, but antihistamines and nasal sprays can be super helpful when it comes to keeping spring allergy symptoms to manageable levels. Your doctor might also recommend an allergy shot, which can help stave off adverse reactions to springtime allergens as well. Starting your medicines prior to the onslaught of allergy season is a good idea too — aim for at least a week before you expect to get hit. Your local weather forecast or regional information from pollen.com can help keep you ahead of the game. Again, maybe this one seems simple, but it’s true: one of the easiest ways for pollen and other airborne allergens to find their way into your home is right through an open window. This is also true of your vehicle. Make sure your car’s air filter is clean to prevent pollen from coming in from outside, and don’t open (or roll down) windows if at all possible. For those with milder spring allergies, the temptation to go outside and enjoy a beautiful spring day may win out. If you do go outside, remember to leave the shoes you wore on a mat outside your home. Don’t track in pollen that could lead to allergy misery later! It’s also a good idea to take a quick shower and rinse off, especially if you’ve been outdoors for a while. Pollen and other allergens can stick to clothing and even hair, which is one of the ways it easily can make its way inside your home. Pro tip: give your pets a rinse off too! They’re responsible for tracking in allergens too. No need for a full bath (your cat just sighed with relief) — using a damp paper towel and wiping down the outer coat of the fur can help. HEPA (high efficiency particulate air) filters are pretty much the gold standard when it comes to filtration, and they’re finding their way into more and more applications to help people keep particulate and allergens out of their indoor spaces. In fact, HEPA filters are capable of trapping 99.97% of microscopic particles in the air. Installing new furnace filters ahead of spring allergy season can be a smart idea, as can investing in cleaning tools (like vacuums) that have sealed HEPA filters inside. After all, why vacuum up allergens off the surfaces of your home if they’re just going to blow back out into your air supply? As pollen settles on surfaces outside, so dust settles on the surfaces of your home. Dusting with dry cloths can actually just propel the dust into the air, where you’re more likely to breathe it in. While many dust sprays exist on the market, many of those are filled with synthetic fragrances and toxic chemicals that can be harmful to inhale and can even trigger asthma attacks. Wiping down indoor surfaces with a slightly damp microfiber cloth helps trap dust and prevents it from being redistributed — all without using chemicals. Mold and mildew allergies are quite common, and for people living in regions that had a wet winter, puddle of moisture can quickly turn into breeding grounds. Mold spores can then go airborne and create a problem for anyone with allergies or asthma. Bathrooms and basements are particularly prone to mold, so using dehumidification methods (exhaust fans or an actual dehumidifier) can work wonders. If there’s a leak under a sink or if rain is coming in through a poorly-sealed window, tend to those issues as well. A spring cleaning must-do is laundering your bedding and textiles. Throw pillows, blankets, bed pillows, drapes, plush toys, pet beds — if you can wash it, wash it (but read the labels). If you can launder these items in hot water without ruining them (read the labels!) then it might be a good idea — hot water can help kill dust mites, whose waste is a mighty allergen to many. Pet dander is also another common allergen, so make sure your four-legged friend isn’t contributing to the poor air quality in your home. For surfaces you can’t wash, grab that vacuum with the sealed HEPA filter and thoroughly go over the soft upholstered surfaces in your home: chairs, cushions, sofas, mattresses and of course, carpets. If your vacuum comes with attachments, this can help you reach out-of-the-way places and crevices in your home where dust and particulate can hide. Not only will this help with dust, it can also help solve some odor problems in your home, since you’re removing odor-causing particles from the environment. A stiff, bristled doormat outside every door does more than you might then when it comes to preventing allergens from making their way into your home. Wipe your feet (and teach your pets to wipe their paws!) every time you or a guest comes in from outside. Pollen, dust, dirt and other debris on the bottom of shoes can get trapped in the mat…and not tracked into your home. Leaving all shoes at the door is also a good way to prevent allergens from entering your home. A high quality air purifier can really go a long way toward reducing the allergens, pollen and other harmful contaminants in your home. Choose one that has a true HEPA filter, and if you’re concerned about odor, choose one that also features a carbon layer as well — carbon can remove contaminants and impurities, using chemical adsorption (meaning it attaches by chemical attraction).